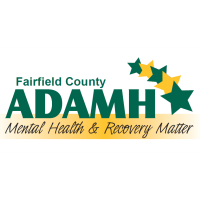 The Fairfield County Alcohol, Drug Addiction and Mental Health (ADAMH) Board will present up to three (3) Friend of ADAMH Awards annually to individuals, agencies, groups, and/or organizations who promote the Fairfield County ADAMH Board mission and vision. Winners will be recognized at the Fairfield County ADAMH Board Annual Dinner. Vision: • Create opportunities for treatment, wellness, and recovery for those with mental health and/or addiction disorders. • Advance a Continuum of Care philosophy. • Anyone can nominate an individual, agency, group, or organization for the award (e.g., agency staff, consumer, law enforcement, medical community, school personnel). • The individual submitting the nomination needs to complete the nominating form. • Individuals may nominate more than one person, group, agency, or organization but must submit a form for each nomination. • Completed nominating forms must be received by the deadline indicated on the nominating form. • The Fairfield County ADAMH Board Community Relations Committee will review all nominations and notify the winner(s) and the nominator(s) of the selected winner(s) of the results. • The Fairfield County ADAMH Board will invite any individual, agency, group, or organization chosen to receive a Friend of ADAMH Award to attend the Annual Dinner to receive the award. • Agency directors or organizational CEOs will be notified if an individual on their staff has been selected to receive the award. • The Fairfield County ADAMH Board will announce award recipients to media outlets, including but not limited to newspaper, radio, etc. • Photos of award winners or their representatives will be used in Fairfield County ADAMH Board promotional and marketing efforts, including the website, social media, etc.